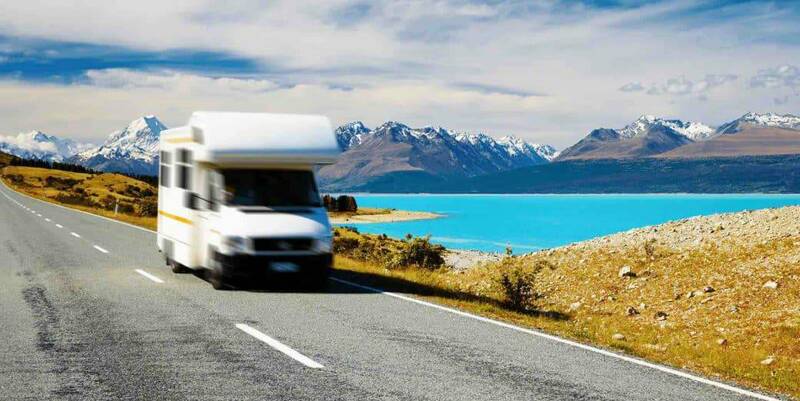 Where you'll find some of the cheapest Motorhome rental in NZ. You're no doubt familiar with well-known motorhome rental brands like Apollo, Maui and Britz. But who are we and why should you book your rental motorhome or campervan here? MatesRates Car Hire is a New Zealand car and motorhome rental "aggregator". We're a little bit like Trivago is with hotels. We bring together in one place all the best deals from more than 30 different motorhome rental brands in NZ. This allows you to instantly compare them side-by-side, saving you the hassle of visiting one website after another to check availability and compare prices. You'll find amazing rental deals from international brands, as well as local New Zealand brands. There are luxury self-contained motorhomes through to simple campervans that are perfect for backpackers on a budget. All at incredible prices. And with no booking fees. The price you see is the price you pay. We don’t charge you any booking fees. Our unbiased service is paid for by the rental providers which means that we can pass on the savings to you. When you make a booking through MatesRates, you get the lowest prices going. Every price on our site is subject to a dynamic Low Price Program. We regularly price check against our competitors and actively manage and negotiate with suppliers on your behalf, ensuring you get a great deal. In the event you find a better quote on the same vehicle from another website, please send it to us and we'll beat the offer. The additional saving will be deducted from your booking deposit. Please contact us here with the link to the website or the written quote. This offer is applied to all the vehicles we offer, all specials and all periods. Please note that due to the fact some vehicles may be booked out and some sites could have technical errors showing rates that are not correct, we reserve the right to refuse any price match request. We know that booking a motorhome is way more complex than a rental car. Most people have lots of questions and need advice selecting the best vehicle to suit their needs. If you have questions, please ask! A team of motorhome rental experts is available to answer your questions 24 hours a day, 7 days a week. You can talk to an expert in a range of different languages including English, German, French, Dutch, Chinese, Spanish, Italian and Portuguese. Use the booking widget at the top of the page and select your pickup & drop off locations. Pick the start and end dates you want to rent a motorhome for, put in your country of residence plus your age and click the Search button. Note, you can change the language in the booking widget using the drop down flags. Now review the different choices from the huge list of potential vehicles. Depending on time of the year some vehicles can be booked immediately, but for others we might need to just double check the availability with the supplier. If so, we do this and get back to you within 24 hours, with either confirmation or alternative options. There’s really only one way to see the best of New Zealand’s stunning sights and unbeatable experiences – and that’s by hiring a campervan. Campervan or motorhome rental gives you unbeatable freedom to travel where you want, when you want, for as long as you want. It’s a wonderfully cost-effective way to stay and play, which is important given the sheer scope of all there is to see and do in this comparatively tiny island nation. Renowned throughout the world for jaw-dropping scenery, New Zealand offers rugged untamed beauty for lovers of beaches, mountains, lakes, forests and fjords. So pick your destinations carefully, sort out motorhome hire, and get ready to experience some of the most unspoilt areas on Earth. The two islands of New Zealand are quite different – and checking both out is highly recommended. Located near the top of the North Island, Auckland is New Zealand’s biggest city – a thriving, diverse mix of fine dining, vibrant nightlife, a growing artistic and cultural scene and plenty of family-friendly events and attractions. Best of all, you’re never far away from lovely beaches and vibrant bushwalks, and the city itself overlooks the marine playground of the Hauraki Gulf. As the primary international gateway to New Zealand, for many travellers Auckland is the most convenient place for them to sign up for campervan rental and begin their adventures. Northland, as its name suggests, is located to the north of Auckland – and very well suited to camper rental. Numerous campsites and holiday parks provide a multitude of handy bases for exploring sun-drenched beaches and coastal towns. It’s the ideal place to relax, take it easy, and take it all in. Head south from Auckland, and within a few easy hours of driving you’ll find Rotorua. It’s the country’s geothermal capital, and packed with natural wonders aplenty. Relax at one of the many hot springs, marvel at brightly coloured minerals and explosive geysers, or indulge your inner adrenaline-seeker with zorbing or the luge. Camper rental is a convenient option for getting around, and there’s plenty of places to park up and venture towards adventure. A few hours on from Rotorua, you’ll find Taupo – right in the middle of the North Island, and right on the edge of the country’s largest lake. Grab one of the many kayaks or sailing dinghies for hire and hit the water. Try your hand at fishing. Take a dip. Or take a drive round the lake and into the Central Plateau, home to Tongariro National Park. In addition to eye-wateringly amazing views, the park features three distinctive and unique peaks – Mt Ruapehu, Mt Tongariro, and Mt Ngauruhoe. Blanketed in snow, Ruapehu serves as a popular skiing and snowboarding hub in winter, while the hike over Tongariro is arguably the most picturesque one-day hike in the world in summer. Ngauruhoe, on the other hand, is better known as Mount Doom from the Lord of the Rings movies! Right down the bottom of the North Island is Wellington, the country’s capital and the home of culture and the arts in New Zealand. Gorgeously boutique and compact, it’s easy to get lost exploring fashion hotspots and sampling tasty café fare. Te Papa, New Zealand’s national museum, is rich with cultural and natural history and a must-see for newcomers to the country. Another factor that makes motorhome rental such a handy way to see New Zealand is the ability to take it with you between the islands! A vehicular ferry can transport you and your camper over the Cook Strait to the South Island – a different world and the start of a whole new journey. From the moment you drive off the ferry, the South Island begins to deliver captivating views as well as opportunities to explore and discover. Picton, the drop-off point, is located at the head of the picturesque Queen Charlotte Sound, and if you’re keen to begin your travels in the South Island rather than the North, it’s a great spot to sign up for campervan hire. The steady stream of visitors through the town means there’s plenty of options around. Warm, welcoming and dotted with sunny orchards, Nelson is the country’s fruit growing capital and full to bursting with cherries, plums, strawberries and other natural sweet treats in the summer months. Follow the local weekly ritual of heading to the markets, and fill your camper (and your stomach) with loads of goodies. Nelson’s a handy place to start your South Island journey if you prefer – though it’s not as busy and bustling as Christchurch, there’s a number of camper rental businesses in town. It’s a picturesque, peaceful place that’s close to a must-see for any nature lover, Abel Tasman National Park. There’s numerous beaches, lakes, rolling hills and – most importantly – campsites. Probably the easiest place to source a rental campervan in the South Island, Christchurch is in the process of rebuilding and reinventing itself after a series of earthquakes – and what’s emerging is a real sense of community spirit, as well as some fascinating creativity. The city is famous for its gardens, and the seaside town of Akaroa close by is well worth a visit. Dubbed the ‘Adventure Capital of the World’, Queenstown really is a tourist’s dream with something for everyone. Thrillseekers will go wild for the multiple adrenaline-pumping experiences on offer, from bungy jumping, sky diving and jet boating to the world’s largest canyon swing. Several world-class ski fields are close, as are a number of the nation’s Great Walks – multi-day hikes traversing spectacular scenery and featuring fascinating native flora and fauna. Once you’ve decided motorhome rental is the best way option for your New Zealand travels, it’s important to plan your trip carefully and give yourself plenty of time. The country may look small, but the experiences are anything but. You’ll need a minimum of four weeks, but at least six is recommended in order to cover all the main cities and attractions. That said – if you’ve got the time to spare, you could take a relaxed few months touring around and still have things to see and do. The roads in New Zealand are well designed and maintained – but even so, it’s a good idea to practice getting a feel for both the road rules and your vehicle after you pick up the keys from the campervan rental office. Drive on the left-hand side of the road! It’s best not to drink any alcohol before getting behind the wheel – the legal limit for driving in New Zealand is very low. All distances are in kilometres, and speeds in kilometres per hour. Speed limits are carefully enforced. Speed limits in towns are typically 50 kilometres per hour, and speed limits on open roads can be up to 100 kilometres per hour. All passengers must wear seat belts, even in a campervan. Approach roads that are narrow and/or winding – particularly those that traverse mountains or gravel – with extreme caution. Practice first to get your confidence up! Please note that to legally drive in New Zealand, you’ll need either an International Driving Permit (IDP) or a current driver’s licence from your country of origin. You’ll also need to keep it on you at all times when you’re driving. A NZ trip truly is the experience of a lifetime, and here at MatesRates Car Hire we make campervan hire simple as well as spectacular. With low prices and no booking fees, we’ll help you get the best deal possible by comparing up to 30 brands side-by-side. We collate both local NZ and international campervan hire companies, line them up, and help you quickly find the offer and operator that best suit your needs. One place, one search, simple. Start your campervan hire search now!